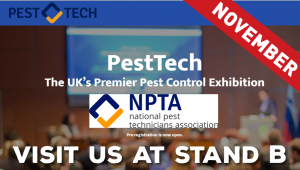 PestEx is one of the largest pest management shows in the pest control industry and is hosted by the British Pest Control Association (BPCA). Held every two years, the exhibition is targeted towards pest management business owners, pest control technicians and pest control distributors. The Octavius Hunt team will be located at Stand 54 and will be on hand to discuss the specific products and services they offer. 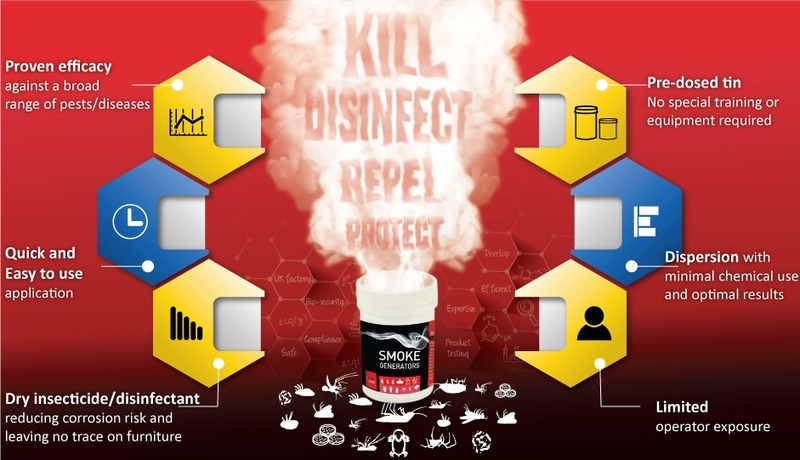 They are also keen to embark on new product development projects so if their current range does not cover the application or pests you are targeting you can speak to the team about developing a smoke using a new active. Octavius Hunt’s unique blend of formulation skills and product expertise enables the development of tailored products to meet customer demands. As a manufacturer, Octavius Hunt is able to offer private labelling and flexibility of product size. Visit their stand at PestEx to learn more about how their current pesticide and disinfectant smokes can be customised to suit your business needs. 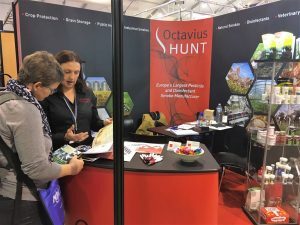 Key team members will be available for private meetings at the Octavius Hunt stand at PestEx so ensure you make contact to arrange a set time to meet. We are delighted to announce our participation at the Parasitec event to be held at the Paris Event Center, Porte de la Villette, France between 14th and 16th of November 2018 –Stand D192! 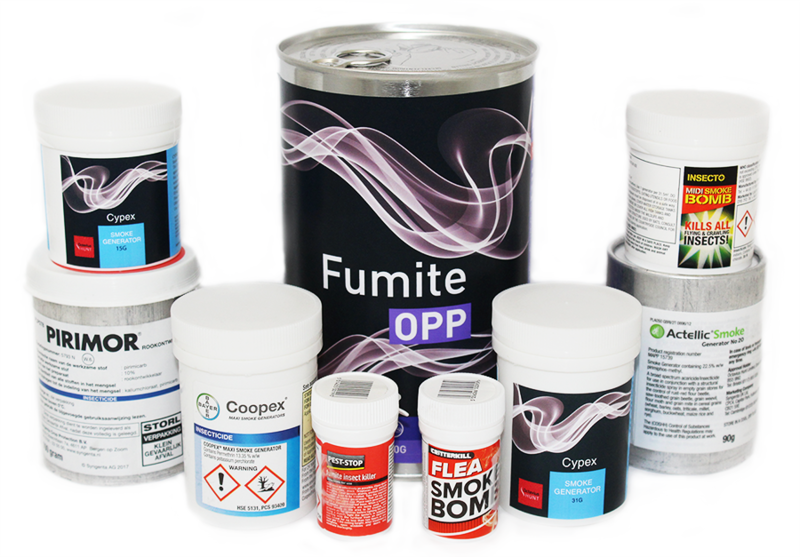 If you are looking to develop a new smoke product, Octavius Hunt can manufacture and offer full support in the production of new pesticides, disinfectants and repellents by providing a unique blend of formulation skills and production expertise. Or perhaps you’d like to speak to our team about using your own branding on one of the existing products in the Octavius Hunt range? We will also be available for private meetings at our stand. Please ensure you contact us to arrange a meeting if you have any ideas or requirements for new products including different sizes for our current pesticide and disinfectant smoke products. 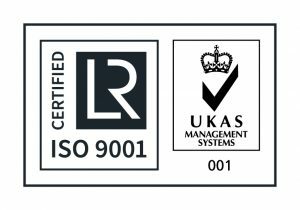 We are proud to announce that Octavius Hunt has successfully transitioned to the revised ISO standard for Quality Management Systems, being awarded ISO 9001:2015 approval certificate from Lloyd’s Register Quality Assurance Limited (LRQA). The certification confirms that Octavius Hunt’s Quality Management Systems fully meet the requirements of the international standard. Our commitment to maintain ISO 9001 approval emphasises our dedication to anticipate and meet the needs of our clients and stakeholders through an effective quality management system. The scope of this approval applies to the design, development, manufacture and supply of specialist smoke generators and pellets. To become ISO 9001:2015 accredited, Octavius Hunt underwent an independent evaluation and audit process, assuring their continual improvement in the on-going growth of the company. Octavius Hunt is exhibiting at the PPC Live event! Octavius Hunt is delighted to announce its participation at the PPC Live event to be held at Malvern, Worcestershire, UK on the 14th March 2018 – Stand 36. Organised by the British Pest Control Association, PPC Live is one of the UK’s most popular single-day pest control event. It is designed for professional UK pest control technicians, managers and company owners, and brings the whole sector under one roof to share and learn from each other to make a stronger, safer pest control industry. 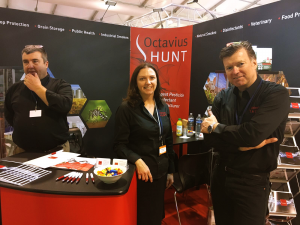 Come and visit Octavius Hunt to find out more about their effective and cost efficient pesticide and disinfectant smoke products developed to combat and prevent the numerous diseases, carried and spread by various pests and microorganisms. 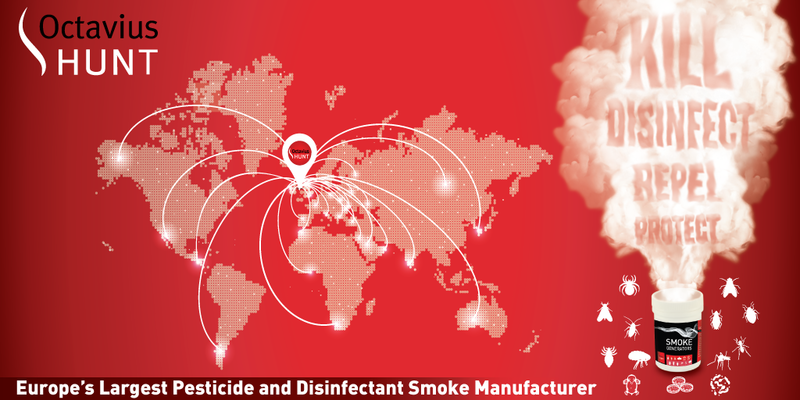 Octavius Hunt’s specialist smoke generators require lower quantities of pesticide than other existing products on the market, offering fast effective ways to ensure a clean and safe world, protecting people from health problems, improving global food security while at the same time limiting the impact on the environment. 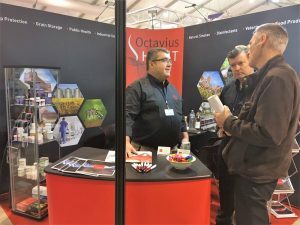 If you are looking to develop a new smoke product Octavius Hunt can manufacture and offer all the support in the production of new pesticides, disinfectants and repellents by providing a unique blend of formulation skills and production expertise. Or perhaps you’d like to speak to our team about using your own branding on one of the products in the Octavius Hunt range? Their technical and marketing teams will be available on the stand to discuss all of these opportunities. If you would like to arrange a meeting with the Octavius Hunt’s team at PPC Live, please contact us to arrange a suitable time. Octavius Hunt has recently appointed Nick Dale as their new Managing Director. 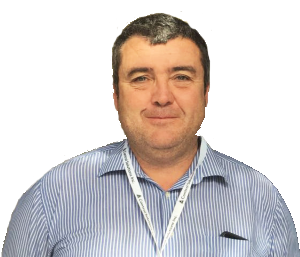 Nick started at Octavius Hunt as a projects technician and has moved up through the company to Technical Director and now Managing Director. 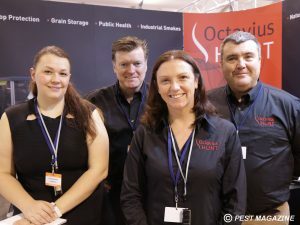 Based in Bristol, Octavius Hunt are developers and manufacturers of smoke generators and pellets which effectively treat pests and diseases in any enclosed area. Octavius Hunt will be exhibiting at PestTech for the first time. 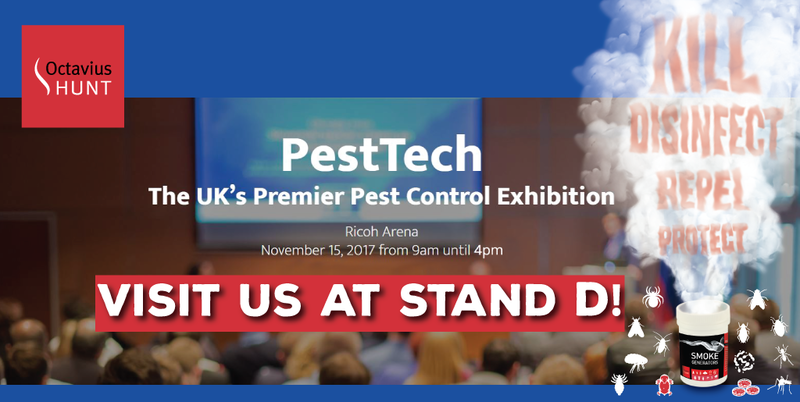 Octavius Hunt looks forward to meeting you at the largest one day pest control event in Europe – PestTech. The exhibition is held on the 15th of November, 2017, at Ricoh Arena, Coventry. 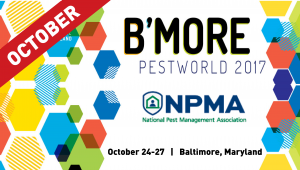 PestTech caters for every sector of the industry with exhibitors covering all facets connected with vertebrate and invertebrate management. This exhibition is essential for all those involved within the industry or on its periphery. If you are visiting the exhibition please come and visit us at stand D, where we will display our range of ready-to-use smoke products, including insecticide smoke generators used for Public Health. Make sure that you don’t miss out the opportunity to have a chat about your requirements and see what we can offer. We also look forward to seeing our existing customers who are visiting or exhibiting at the event. If you would like to arrange a meeting with our team at PestTech, please contact us to arrange a suitable time. Meet Octavius Hunt’s Team At Parasitec! We are excited to announce that the Octavius Hunt team will be attending Parasitec this year. Parasitec is the Pest Control and Public Health exhibition held at the WOW Convention Center in Istanbul on 28th and 29th of September. In the meantime, if you have further enquiries, please feel free to contact us at info@octavius-hunt.co.uk. Octavius Hunt will be exhibiting in the UK for the first time. After a successful exhibition at Parasitec in Paris last year, we are keen to continue to reach out to current and new customers and look forward to PestEx at the London Excel Centre in March. PestEx is the largest UK trade show for the pest control industry and brings visitors from across the world. Hosted by the British Pest Control Association it is held every two years with this year’s exhibition taking place on the 22nd and 23rd March. You can find Octavius Hunt at stand 54. Not only will we display our full product range of smoke generators but we are also running an exciting competition where you will have a chance to win a limited edition case of “Smoked Porter beer” – brewed by our very own Technical Manager (in his own time… no pesticides!). If you would like to meet with our team at PestEx, please contact us to arrange a suitable date and time. Octavius Hunt is really excited to be exhibiting at ConExPest in Poland this year. This exhibition is run by the Polish Pest Control Association and is held every 3 years so this is a great opportunity for us to showcase our smoke generators and pellets. 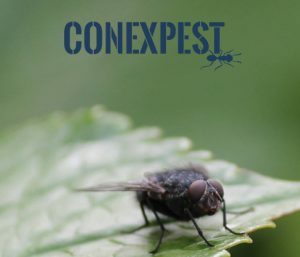 ConExPest 2017 will be held on the 11th and 12th May at the Wroclaw Conference Centre. It is one of the largest pest control industry events in Eastern Europe and is an ideal meeting place for distributors, manufacturers and service providers. The Polish Pest Control Association has been operating for over 20 years and is working towards increasing awareness of the challenges within the industry and promoting pest control methods in order to protect public health. Octavius Hunt can be found at stand 66 at ConExPest where we will display our current product range but also be available to discuss new product development or collaboration with new partners. Please contact us if you wish to arrange a meeting or for more information on our products and services. We are pleased to announce that our Business Development Manager, Olesja Drozdova, will be attending the “Grain Tech Expo” – biggest agro-industrial forum, which holds leading place in the agricultural sector of Ukraine. The exhibition will take place from the 15th – 17th February 2017 at the exhibition centre “Kiev Expo Plaza”. Grain Tech aims to unite the leading professionals of grain market and covers a wide range of the innovative solutions in different stages of production, storing, processing and transportation of grain, leguminous and oil crops. Here you will have the chance to speak in more detail and find out more information about our products, especially about Actellic Smoke Generator, which is a broad spectrum acaricide/insecticide for use in empty grain stores for the control of rust-red flour beetle, saw toothed grain beetle, grain weevil, flour moth and grain mite. Actellic Smoke Generator is potent against a wide range of pests in hard to reach areas, being suitable for use in rooms, freight containers and wagons used for the storage, transport and preparation of processed foods and transport and storage of raw cereal grains, malt and oil. If you would like to arrange a meeting, please contact us.